The U.N.O. Fitness upright bike HT400 with its eight level adjustable resistance, which is generated via a magnetic brake system, you can do a light cardio training for increasing your physical fitness. The 5.5 kg balance mass generates a good concentric run and gives a good feeling at low resistances. Thanks to the deep step-through, you can comfortably and quickly start your training. The self-aligning and adjustable pedals facilitate the training start and continuously align anew. The handlebar is adjustable in height and incline and can be well adjusted to the user for good ergonomics. U.N.O. 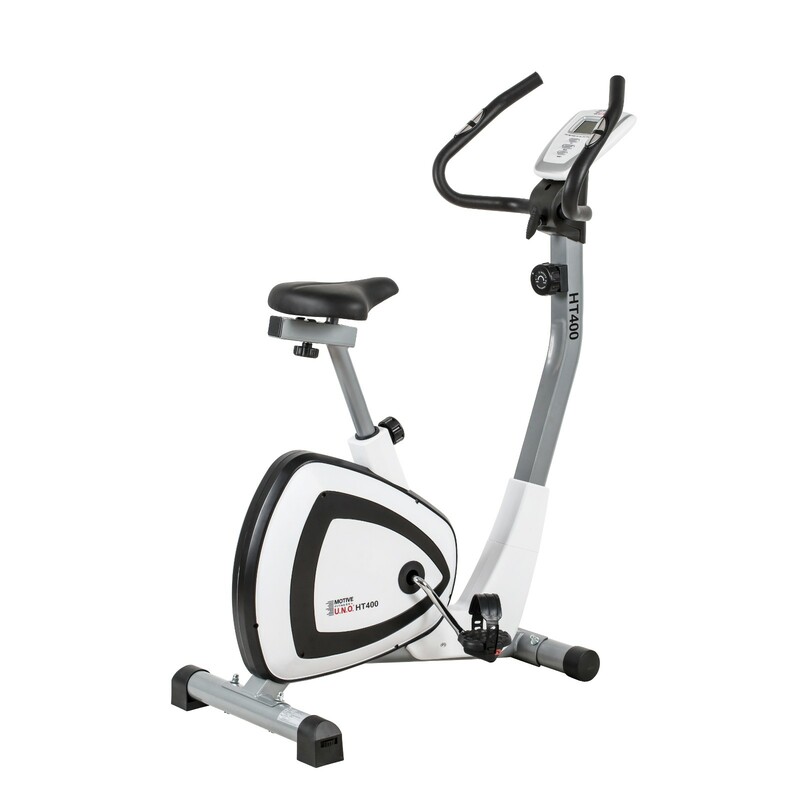 Fitness upright bike HT400 add to comparison list.